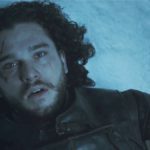 It’s natural for us to look out for full protection for our newly purchased iPhone XS and obviously prevent them from falling or rolling down the sofa. 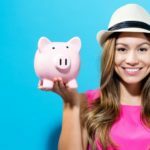 The pricing at which the latest set of iPhones are released; it is natural on our part to pamper the iPhone to keep it hale and hearty. When it comes to protecting your iPhone at the ultimate level, what’s better than rugged cases? They are hard enough to protect your phone and at the same time soft enough to avoid any scratches. 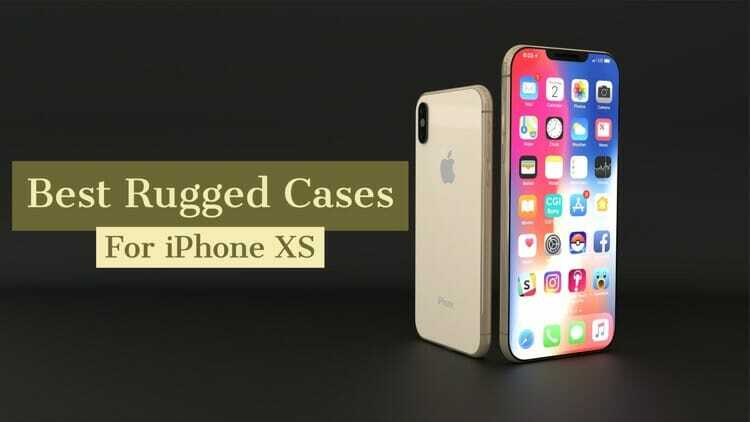 And we know how confusing it is to select the right rugged case for your brand new iPhone XS. 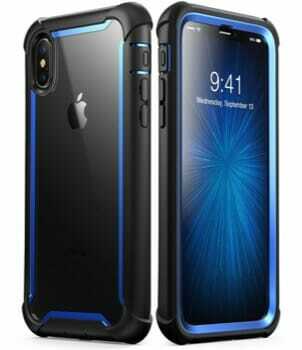 Therefore, here’s a compilation of some of the Best Rugged Case for iPhone XS. This case comes with a built-in air cushion technology which provides drop protection in extreme cases with two layers of impact resistance. It has a stand which can be used while reading or watching videos. It is also compatible with wireless charging, so you can use your wireless chargers without any issues. The designed ergonomic provides a firm grip and proper fitting. Colors available are satin silver, matte black, blush gold, and gunmetal. 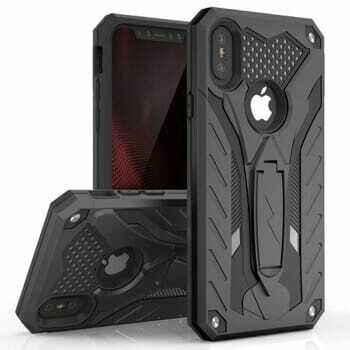 So go ahead and buy this case to give your new iPhone XS complete protection. Ready to grab in 7 chic colors, this protective case gives you the right military feels when you hold the iPhone in your hand. The case is sleek, stylish yet protective for your expensive iPhone XS. Zizo Static Series uses an impact dispersion technique to reduce the impact of a downfall. 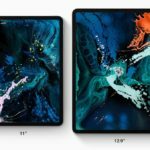 It also comes with a kickstand and allows you to use wireless chargers with your iPhone XS. It comes with a slim, sturdy stand which can be used for landscape as well as portrait mode. The double-layered TPU case model gives a fresh highlight to the Apple logo at the back of your phone. This case is sophisticated yet rugged and extra-defensive at the edges. It comes with a built-in front screen protector which prevents any kind of scratches or water damage. SUPCASE Unicorn Beetle is made up of dual layers and is shock resistant and flexible. It also comes with a rotatable belt clip holster for your hands-free needs. You won’t have to remove your phone from the cover every time you wish to charge it as it supports wireless charging. You can choose a case from 4 different colors. It also covers the lightning port with a closed flap. 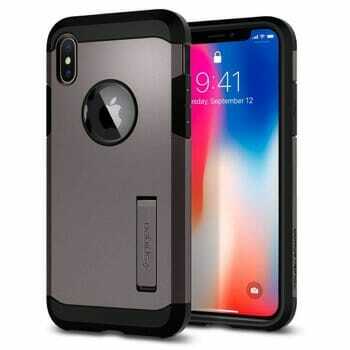 If you are looking for 360-degree protection for your phone, this is the rugged case for your iPhone XS. How about a full body case with 360-degree protection and inbuilt screen protector? The case is also fortified with wraparound bumpers which makes it shock resistant. It also supports wireless charging. The back plate of the cover is transparent with anti-scratch coating. Also, it has a raised bezel which prevents the camera from touching the ground. The port plugs guard your ports from dust and debris. Your edges are safe because of secured rubber bumper which gives extra-protection. This case is slim and compact enough to slip in and out of your pockets. The corners create a cushioning effect for your iPhone through air-soft corners and soft impact resistant core. The case is flexible enough to house as well as remove your phone from the cover easily. It comes with a 360-degree shock, impact and drops resistance thereby passing the military drop standards required for rugged cases. This case is compatible with Apple Pay and Wireless charging. It has a futuristic design as well as smooth functioning. One of the best combination of slim design with rugged durability. This case is available in 4 colors, including all of the colors of iPhone XS. This will make sure that there is no color difference in the edges and the transparent back of the phone body. Transparent back shows the iPhone XS in full glory including the Apple logo on the back. 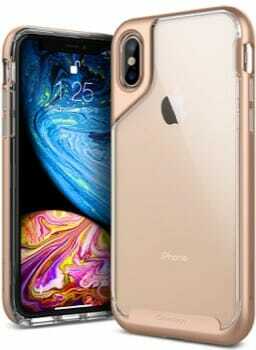 One of crisp design for the transparent case lovers. The edges and camera are still protected with the help of corner cushion and protective frame. It is shock, impact and drop resistant and is compatible with wireless charging. It also has the color matched button cover with tactile feedback. Caseology offers you Limited Lifetime Warranty for this case. Vofolen Wallet Card Holder case has a tough, rugged body which makes it shock and fall resistant. The case has a special 5mm lit near the camera to prevent any kind of damage. 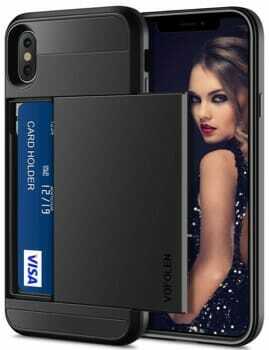 It comes with a hidden sliding cover card slot for your monetary needs. The slot can hold up to 2 credit or debit cards at a time. So you can carry your primary card along with your phone. You can choose from 5 variants which promise style and security. It is scratch resistant to make sure the back doesn’t get unwanted marks. 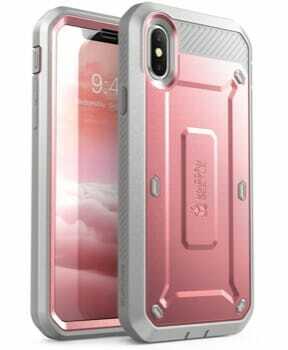 The case comes with SGS certified military drop protection for your iPhone XS. It has been extensively tested to provide a good protection again any unwanted fall. It comes with 3.25mm reinforced corner bumps making it drop and impact resistant. The material is glass safe and compatible with wireless charging. The portions around the edges and camera are raised for extra coverage. Inner soft TPU material will also protect your glass back from scratches. 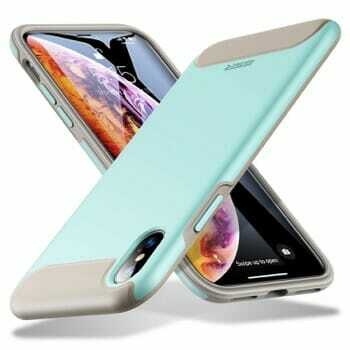 You can get this case in three different color – Black, Mint Green, and Purplish Blue. This case is perfect for adventure lovers as it is waterproof, shockproof and is even safe underwater! The front, as well as the back, is transparent which supports wireless charging. 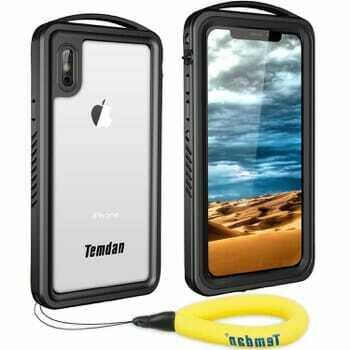 It also shows the complete design of your iPhone XS other than adding a Temdan logo on the back. The case comes with a kickstand, Camping Snap Hook, Wrist strap, Float strap, and a cleaning cloth. You can use this case to record underwater videos (don’t go too deep). It has been tested up to 20-feet deep underwater for up to 1 hour. It’s a complete 360-degree protection case which should be the first choice for outdoor activity lovers. You will also get a hassle-free one-year warranty by Temdan. 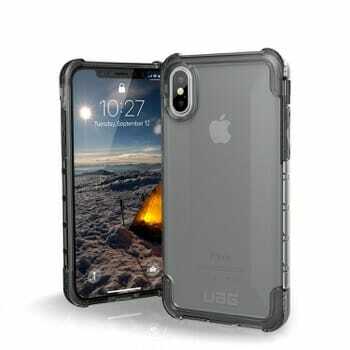 So here are some of the best rugged cases for iPhone XS which you can buy from the market. Which one are you planning to buy for iPhone XS?